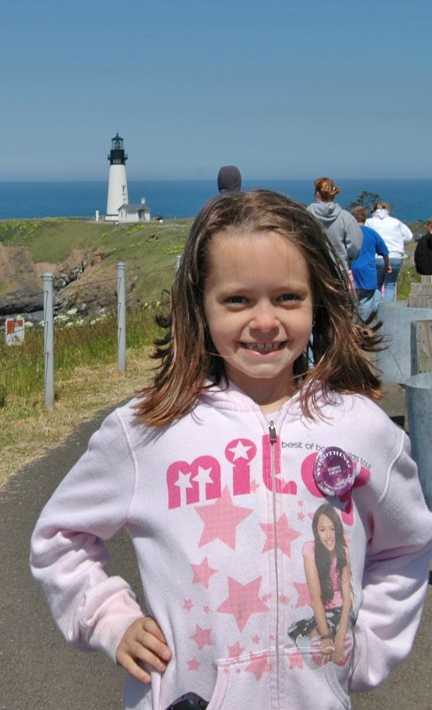 Kira, pictured on an Oceanlake Elementary School field trip in 2009. Photo by Niki Price. In the hospital environment, the focus for physicians is on the medicine, while nurses spend more time with the person seeking help, and frequently are the ones with whom patients will forge the most significant relationships before they leave. It’s that deeper relationship that motivated recent Taft High graduate Kira Sciarrotta to begin the first part of her Certified Nursing Assistant certification through the Oregon Coast Community College while still in high school, and is continuing to guide her as she plans to attend the college this Fall doing preparatory coursework so that she can later apply to OCCC’s Nursing Program to pursue an Associate of Applied Science Degree. Sciarrotta has learned about the nuts and bolts of nursing in two ways: at home and then while she was obtaining her CNA1, one of two trainings that enable people to work as nursing assistants. During training, a mix of classwork and on the job experience, CNA students spend three weeks during which they are assigned to a CNA at a hospital twice a week, for eight hours a day. The hard work done by health professionals in something Sciarrotta has seen firsthand. And she is not just following in the footsteps of the influential women in her life by her career choice, but by her choice of colleges, too. Kira’s mother and aunt both graduated from the Oregon Coast Community College nursing program. Linda Mollino, Director of Career and Technical Education Programs: Human Services Careers, says she admired the persistence Sciarrotta showed when the ambitious teen first applied to the CNA Program. Staff from the college and from participating high schools work to identify potential students that they believe will excel and succeed in the CNA program, and Mollino defers to their judgement when it comes time to offer the spots. “She was persistent and had done well in high school,” Mollino said, “so I said if the counselors recommended her, we would work with her.” Glowing recommendations from counselors followed, and Kira was admitted to the program. Sciarrotta continued to impress Mollino as she worked through the program requirements. Beginning with Fall 2018 term, Kira Sciarrotta will be working on pre-reqs in preparation for applying to the OCCC Nursing Program. 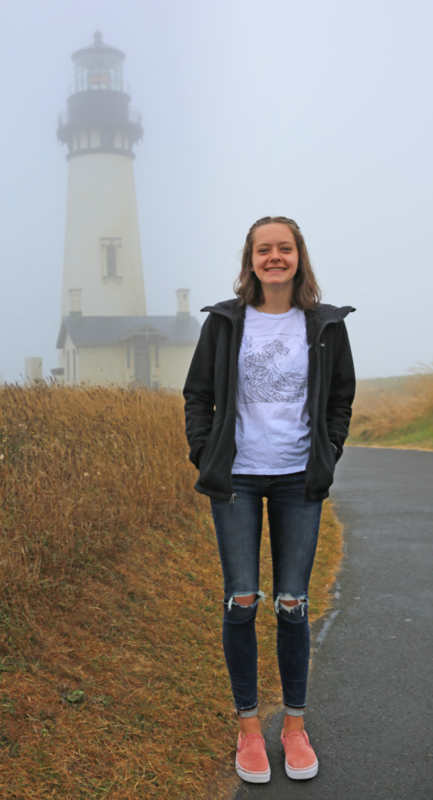 A lifelong Lincoln City resident, Sciarrotta feels lucky to have OCCC as her local school. Mollino, who has worked at the college since 2007, agrees. Sciarrotta felt that though the school was small, there was no small effort to provide the students with what they would need to succeed. She also received a lot of help wading through the sometimes-daunting river of scholastic red tape. Mollino noted that college staff also help make connections between recent graduates and potential employers. During her decade at the College, Mollino has seen not just an impressive number of graduates from the nursing degree and certification programs, but a growth in what the college offers in the healthcare field. “We’ve added EMT, medical assisting, and early childhood education programs,” she said, adding that a benefit of many of these is that they enable people to stay in the area and still find employment. OCCC’s Early Childhood Education Program is brand new, and will launch in the Winter 2019 term. Sciarrotta is considering a specialty that may take her elsewhere for continued education. Luckily, we will have her here for at least the next few years. Whether graduates stay or not, though, the OCCC program has a significant local impact. Mollino herself has had an impact on the students with whom she’s interacted, like Sciarrotta, who named both her and Nursing Faculty Advisor Lynn Barton as having been a huge help and influence. Mollino recalled a chance encounter she had over a cup of coffee in Newport – an encounter that impacted more than one life directly. The importance of building relationships is critical in the healthcare industry, and the staff at OCCC works to reinforce this with their students throughout the program. Oregon Coast Community College serves Lincoln County through centers in Waldport, Newport and Lincoln City. The College offers two-year Associate Degrees and a variety of transfer degrees, as well as numerous less-than-one-year certificate programs. New for Fall 2018, the College will launch a new teaching degree program in partnership with Tillamook Bay Community College and Western Oregon University. In the Winter 2019 term, the College will launch new Early Childhood Education degrees and certificates. Registration for credit courses in the Fall 2018 term is open now. To learn more about the College and its programs and services, peruse this website or call 541-867-8501.